Unlike many roofing contractors, we never cut corners. Our roofers have extensive amounts of experience, and that is reflected in their craftsmanship. We strictly rely on first rate products and materials too. 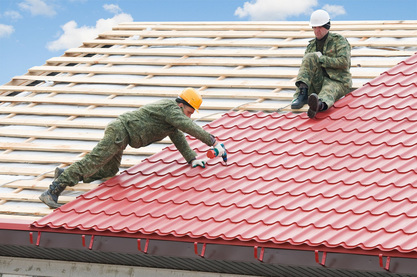 Like most people, you probably don't have to deal with roof repairs or replacements too often. Don't let an unscrupulous roofer take advantage of that. We offer fair, competitive prices to each and every customer. Whether your roof needs some work or needs to be replaced, you can rest assured that you will be treated with professionalism, courteousness and respect by our roofing contractors. Your satisfaction is our number one priority. When we say we will be at your home, we will be there. The days of waiting around for an undependable roofer are over. Regardless of the size or scope of your job, our team will respect the value of your time. · Cost-effectiveness. Our asphalt shingle roofs are the most economical in most cases. They are a reliable, sturdy roofing type that are able to stand up to the harsh Florida climate, and they won’t cost you an arm and a leg to have placed (or, later, replaced). · Quick installation. Asphalt shingles usually go onto any building easily and relatively quickly. Your our contractors can get your roof installed in a shorter period of time when you choose asphalt shingles. · Curb appeal. Asphalt shingles have a classic, timeless appeal. They also come in a variety of colors and styles to complement any home or business. Whether you want your home to blend in or stand out in your neighborhood, we can help. · Fireproof. If the worst should happen and you experience a house fire, it will not be spreading via the metal roof, because it’s fire-resistant. Lightning and wildfires, both of which can be plentiful in Southwest Florida, post little damage to this type of roof. · Long lifespan. A metal roof in this area can be expected to last up to 50 years. · Hurricane resistant. Metal roofs can withstand the high winds that you might expect from a tropical storm or hurricane. · Low maintenance. Most of the time, metal roofing does not require periodic maintenance. It should, however, have periodic inspections to be sure that no repairs are needed. · Environmentally friendly. Not only are metal roofs fully recyclable at the end of their useful lives, but they are also often made from some recycled materials. · Some homeowners are concerned about the extra noise created when hail or heavy rain pelts the metal roof. We can add extra insulation to help muffle the noise, if this is something that is holding you back from exploring metal roofing. · Long-term durability. Tile roofs have an extremely long lifetime; in some cases, the tiles themselves can last for 100 years or more! · Hail, wind and fire-resistant. Living in the Tampa area, your home is prone to damage from hail and wind. A fire can happen in any home. Your tile roof will resist damage from all of these, keeping you and your family safer and reducing your out-of-pocket expenses should natural occurrences take place. · Heat-deflecting. Under the hot summer (or spring or autumn) sun your tiles will help to deflect heat away from your home, lowering your energy bills. · Environmentally friendly. Tiles are fully recyclable and, since they don’t need to be replaced often, will keep material out of the landfills. · Easy repair. If you should have damage to a tile, only that one will need to be replaced; there’s no need to re-install a large portion of the roof. This keeps maintenance, replacement and repair costs down over the long- term. · In addition, you might benefit from a boost in your home’s value; tile roofs are attractive to buyers and can allow you to raise your asking price. This is something to ask a real estate agent about if you are planning to sell your home now or in the future. Flat Roof: Many commercial buildings and a few houses have flat roofs. These are challenging to install, but the roofers at we are experienced in this type of work. We will work around your vents, pipes and other protrusions with the expert technique your flat roof requires. There are several types of flat roofing. You might have a fiberglass layer covered with tar and then ballasted with river stone. Bitumen flat roofing allows you to choose from several different colors for a designer look. Another flat roofing option is a rubber membrane material. · Low maintenance. Not only are flat roofs easy to maintain, but they’re also easy to access; there are no slopes or breakable tiles to worry about. · Easy repair. Again, flat roofs are fairly safe to work on and there is more stability, allowing for simpler repairs. · Waterproof. Flat roofs are designed to be waterproof. In Florida, your roofing company will perform mitigation if ponding water sits for more than 48 hours, so this will prolong the life of your roof. Our team will work hard to produce results that will keep your property protected from the elements, so we'll use products and materials that we trust to function perfectly. Everything will be done meticulously. We place a strong focus on safety so that our customers can have a high level of peace of mind. When you have a roofing project in Tampa, Plant City, Central, Florida, that you need done right, having the team from Global Green Footprint, Inc.©™ take care of it can ensure that everything goes as smoothly as possible. We're professionals and committed to performing exceptional work that exceeds customer expectations. Our technicians offer comprehensive services, including providing price quotes before starting and making sure that everything is spotless before they leave.